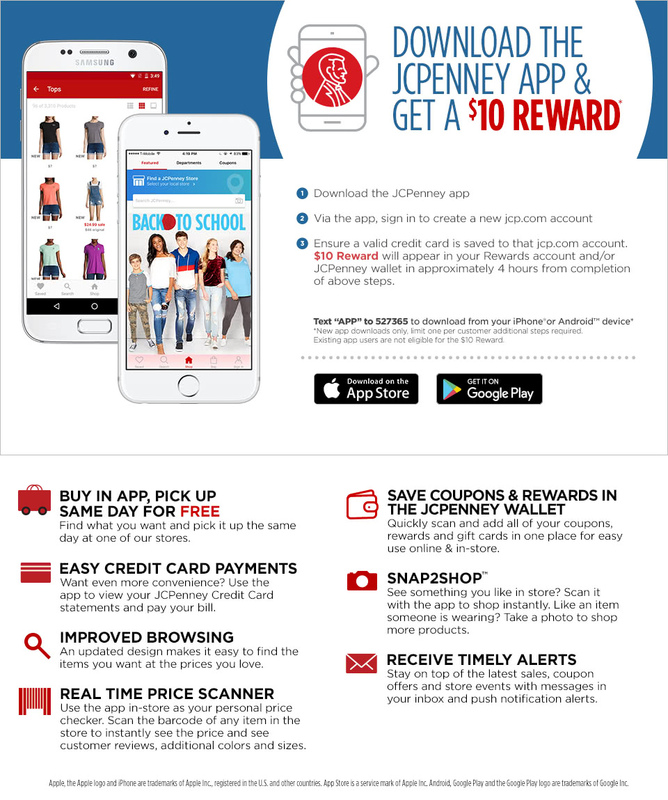 Savvy Spending: JCP: Download the App, log in with your account and credit card, and get a FREE $10 reward!! JCP: Download the App, log in with your account and credit card, and get a FREE $10 reward!! If you've yet to download the JCP App and log in with your account and credit card, do so NOW for a FREE $10 Reward! 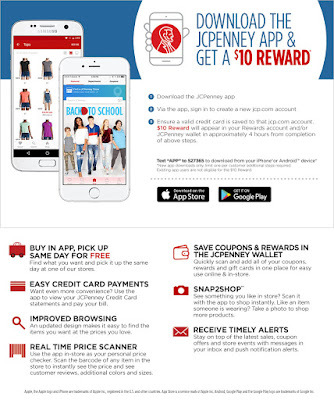 Just text APP to 527365 to download the app from your phone/device, create a new JCPenney account, and add a valid credit card to your account. The Free $10 JCPenney Reward will be in your rewards account and/or wallet within 4 hours.